Josh from Fractal Design stopped by to help us build an AMD Ryzen Threadripper system inside the recently released Define C TG (tempered glass) case. You can watch an archive of the livestream to see how the build came together and check the cable management time lapse to see how Barry cleaned up the cables. A big thanks to Fractal Design for providing the case and CPU cooler, MSI for providing the motherboard and EVGA for providing the video card used in this build. did your memory OC well with this build? ive been looking into that memory for my tr build. I feel like your Firestrike scores should be much higher. Love your choices of hardware though. The combined score just seems really low which is drastically throwing off the final score. 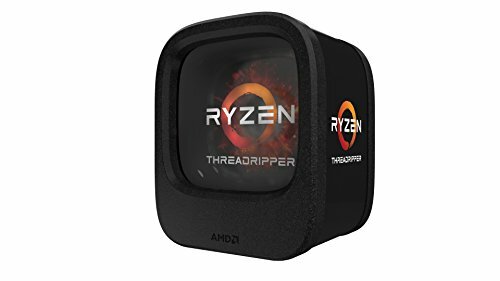 I know that Threadripper can't keep up with Intel in terms of gaming, but I figured to see at least 19-20k overall. I'm seeing 8k combined on the 1950X, I just don't really understand how the 1920X is only hitting 4500, especially when you consider how close the two are on the physics test. For FS Ultra's combined scores I'm seeing 6381 vs 3695. Very possible that I'm wrong, but those numbers just don't seem right. Delta seems too drastic. Well now I'm just even more confused(didn't realize it was SLI) because my single OC'd 1080 Ti hits almost 32k in the graphics test with a much higher overall score. Granted I'm using an OC'd 6700K. My Time Spy overall score is similar to the 1920x/1080 Ti, though. Firestrike is weird. I guess this just furthers the notion that we shouldn't rely on synthetic benchmarks to judge gaming performance. What about noise? Does it get loud? Wow, EVGA's stock photos don't at all do justice to how bright red that card is. Their pictures make it look more dull and metallic. Ayy, what will it be used for? Nice build why is OpenGL in Cinebench somewhat low ? I score 179 and i have a 1070. Thoroughly impressed with the cable management in the back. Was the system able to hit max XFR frequency with the Celsius S24? How is the air flow within this case ? looks like very tight inside. Any heat problem ? While cpu are has a good airflow, the gpu (at least with an open air coolers) gets higher than average temps due to the heat getting trapped and not really dissipating much in that area between psu shroud and gpu, causing the hot air to recirculate and warm up gpu further. I found no solution to this problem sadly and the restrictive front panel with dust filter just add up to the issue. If you mount a radiator in front - the temps will be even worse compared to using heatsink on a cpu. With that case I'd really suggest using a blower card. Surprisingly, you might end up getting better temps and less noise in that scenario. Do you have a problem with this specific PSU very loud fan noise under load with eco mode on? Great gaming rig! This gave me some of the influence to build mine! Hey I was wondering if this psu is enough for this build because I'm building a pc with similar components and looking at the same power supply.